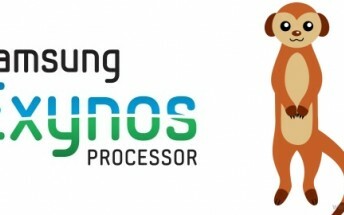 Nearly a month ago, Samsung's latest SoC featuring custom Mongoose CPU cores (codenamed Exynos M1) was spotted running GeekBench and today the latest results of the SoC's performance leaked. Judging from the new GeekBench results, Samsung has clearly tried its best to make the Mongoose cores perform even better than before. The Exynos M1's (likely carrying the 8890 model number) cores are clocked at 2.3GHz and have scored 6,908 points in the Multi-Core test. Single-core performance is measured at 2,294 points. The Mongoose CPU continues to impress in power saving mode as well. It manages to beat the performance of the Exynos 7420's Cortex A57 and A53 cores and scores 1,710 points versus 1,486 points in single-core tests. The difference in the multi-core test is minimal at less than 100 points. As you can see in the table above, the Exynos M1 beats the Apple A9 chip in multi-core tests, but doesn't quite match it at the single-core test component. Of course there's a lot of time until it releases, so Samsung will have plenty of chances to improve its performance. According to previous rumors, Samsung should push the Exynos M1 to mass production in about 9-12 month's time. If the company sticks to its previous release schedules,this means the new SoC won't debut in the Galaxy S7 flagship next year and we'll have to wait for the next note at least.